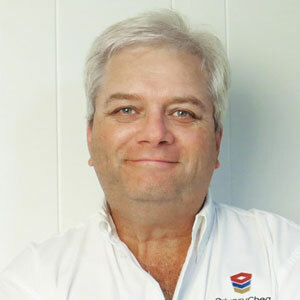 As a serial entrepreneur, Roy Smith founded AgeCheq in 2013 to provide mobile game publishers with a viable way to comply with the U.S. Children’s Online Privacy Protection Act (COPPA). In late 2015, things changed when the European Union (EU) revised its data privacy directive into a unified General Data Protection Regulation (GDPR). It was obvious for Smith that this new regulation will become the basis for digital privacy around the world and a global ‘sea change’ for most industries. When GDPR was ratified, Smith also realized that CIOs are challenged to bring even a mid-sized enterprise under compliance as it requires ‘informed, active consent,’ as well as ‘Privacy by Design’ and ‘Privacy by Default’ concepts to be built into all their operations. “Moreover, technical changes to user touchpoints to gain compliance could potentially affect highly refined user acquisition flows,” states Smith, CEO, PrivacyCheq. With this realization, Smith rebranded his company to PrivacyCheq, focused on enabling enterprises to achieve compliance under both COPPA and GDPR with a single, integrated, and innovative Privacy Enhancing Technology (PET) solution. The entire functionality of the AgeCheq service has been integrated into the firm’s new ConsentCheq Compliance Development Kit (CDK), allowing publishers to properly handle child/parent consent for both US and EU audiences. The ConsentCheq CDK addresses other vertical markets, including retail, hospitality and sporting venues, “Internet of Things” devices, and “Big Data” AdTech enterprises, each of which capture private data and must abide by new “Notice and Consent” rules. The firm’s ConsentCheq GDPR CDK is a fully integrated set of software tools that enables an enterprise to swiftly build, test, and optimize the numerous user interactions that are required under EU’s GDPR regulation. The service includes IT solutions for GDPR articles 6, 7, 8, 11, 15, 16, 17, 21, 34 and 53. For enterprises seeking a rock-solid GDPR compliance solution, ConsentCheq CDK has been designed with the scalability to handle hundreds of millions of transactions per day, supported by highly secure and performance AWS-hosted database hosted on EU soil. “ConsentCheq CDK is a SaaS privacy compliance service comprised of an API, numerous dashboards and user interface touchpoints for notice, consent, the right to be forgotten, subject access request, and breach notification,” adds Smith. It also encompasses a collection of sample implementations that can be used to quickly prototype and test user flows. When it comes to the brave new world of IoT and cyber-physical systems, regulatory and compliance challenges grow in importance. “One big part of today’s ‘privacy problem’ is the fact that users lack knowledge about what is happening with their privacy—many services use wordy legalese privacy notices that users won’t read,” points-out Smith. “PrivacyCheq has contributed toward the notion of ‘understandable notices,’ including sponsoring a research project at the Carnegie Mellon University.” ConsentCheq CDK’s interoperability makes it perfect for enterprises to build new products that will seamlessly work with their existing privacy management systems and also remain in compliance with ‘privacy by design.’ In addition, ConsentCheq CDK provides a wide variety of privacy notice formats, including animated video notices, enabling clients to manage privacy with ease and flexibility. Forging ahead, PrivacyCheq intends to continue to integrate new privacy regulations as they are ratified (such as the recent FCC regulations for U.S. Internet Service Providers), making ConsentCheq CDK a ‘one-stop’ privacy by design and technical privacy compliance solution for enterprises all over the world.